Crumpler’s House of Horror: A Backpack and Tote Bag in 1! I have been a backpack enthusiast since I was a student. In fact, even until now, I still prefer using backpacks because I feel comfortable wearing them. But since most of the blogging events I am attending has a dress code or requires the attendees to wear smart casual clothes, naturally, it is definitely a big No – No to pair this get up with a backpack! That’s awkward! This is why I so love the Crumpler’s House of Horror, a bag which can be turned into backpack for ease and comfort or into a tote bag to match my casual attire! Now I can carry all my “gadgets” including my laptop, phones, camera, chargers, kikay kit and other must-have stuffs during blogging occasion and other related events with its five (5) storage zones, which includes a quick access front zippered pocket, a concealed top opening zippered stash pocket, a zippered top opening main cargo space, the interior padded sleeve with velcro closure for up to a 15-inch laptop and another interior zippered side pocket. 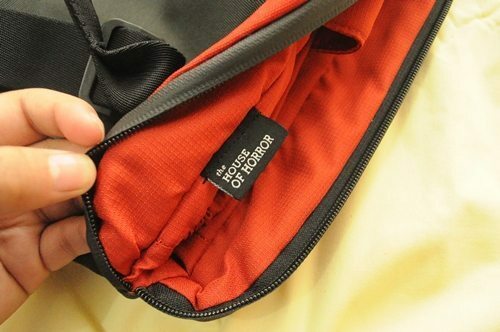 In addition, just like any other Crumpler bags, the House of Horror comes with a padded carry handles that are strong enough to carry the luggage while providing comfort to the hands. Its shoulder harness is likewise fully adjustable boasting its 38mm soft webbing straps paired with buckles that are easy to adjust so as to evenly distribute the luggage weight. Another Crumpler signature is that the House of Horror is water resistant, perfect for keeping our documents and gadgets dry especially this raining season! 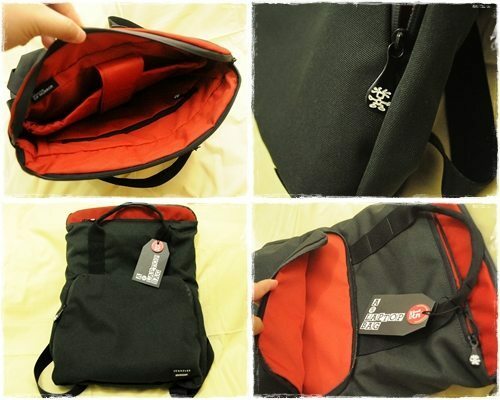 Last but not the least is another Crumpler pride – its guarantee for life! Who doesn’t want it? Because Crumpler makes sure that their every product is made from high quality and durable materials, you can be rest assured that the Crumpler bags will truly last a lifetime.